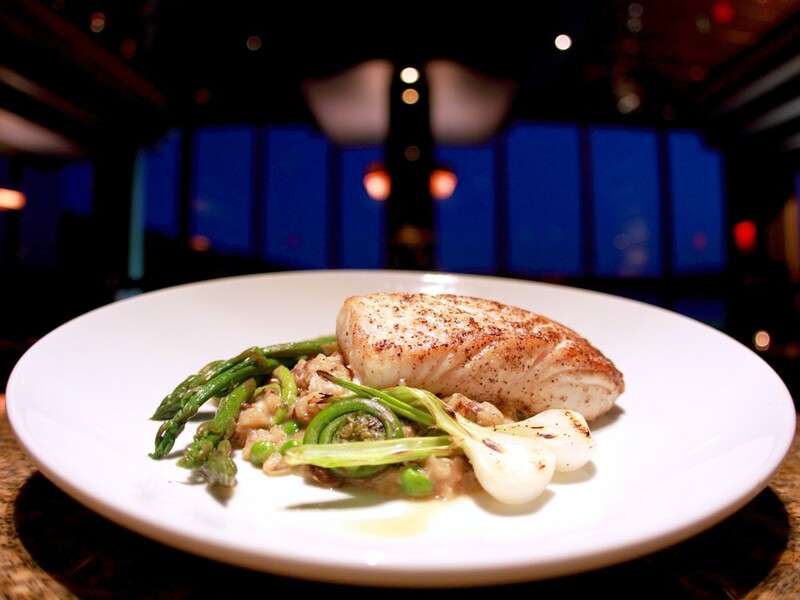 Beverly\'s fresh halibut is served with zesty spring risotto. They’re rated the number-one fine dining restaurant in Coeur D’Alene on Urbanspoon, and it’s no wonder. Beverly’s has it all: cosmopolitan feel, classy menu and a lake view to write home about. By day, they host an upscale casual lunch, but the evening is all about the romance. Summer will bring in live entertainment, as well as a new menu that adds summer flavor to the classic mainstays, like their Snake River Farms burger ($12), which is topped with bleu cheese and house-cured bacon. Lunch dishes hover below the $20 mark, and their happy hour boasts an impressive menu of drinks that cost $5.01 starting at 5:01 pm. One of the most popular dishes, the beef tenderloin ($60), also commands the highest price. Flown in from Chicago and weighing in at nearly a pound, this slab of meat is considered one of the best in the land. Make it a surf n’ turf for a measly $25 more, because hey, you only live once.